My greatest desire is to show grace to all--to my loved ones at home, to my family and friends and neighbors all over the world. Of course, in order for my life to be a reflection of God's grace, I need God's grace for myself. I need to spend hours with God, to soak in his grace. Honestly, though, I don't have time for this. My to-do lists are long; the hours for completing them are short. Surely I need to advance, not retreat! Yet I am pulled again to God's word. 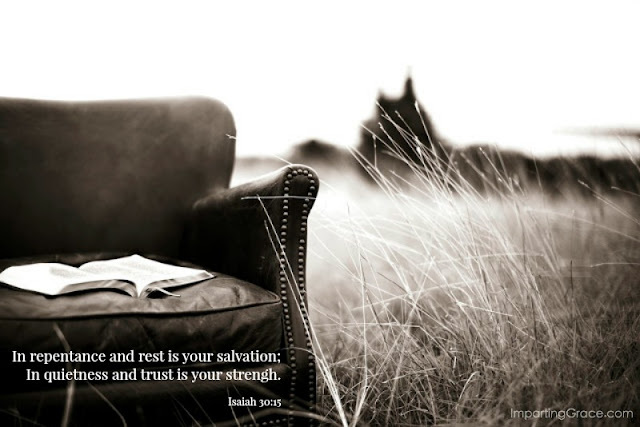 The words of Isaiah leap off the page, spoken to the people of God who needed to hear. So I am on retreat this week. And, boy, am I grateful to be part of a group that values retreat. 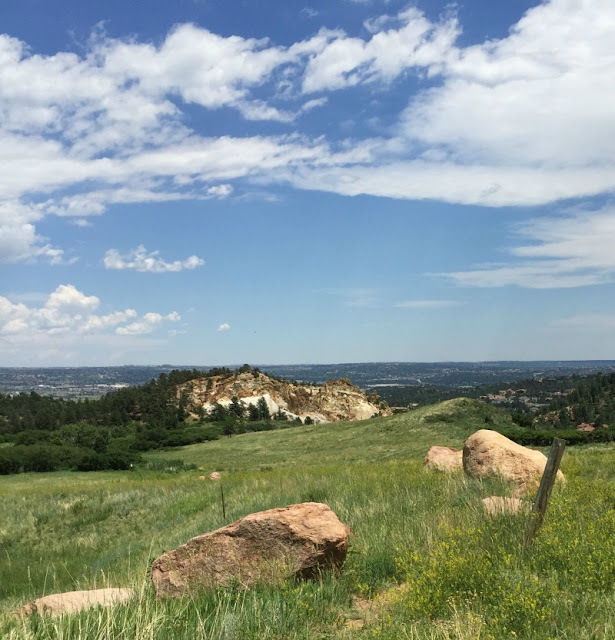 I serve on the Ministry Team of Renovaré, and every year we retreat together to a beautiful place in Colorado. We all love it. We're excited to be here. But the fact is we have to make ourselves do it. This kind of withdrawing from society and getting away together takes a good deal of preparation and sacrifice, both for us and for our families. But the effort is worth it, for we all need rest. “The number one enemy of Christian spiritual formation today is exhaustion,” writes our friend and team member Jim Smith in his important book The Good and Beautiful God. This is a bold proclamation, but I believe it is right. Surely the need for rest is not a new development, nor is the instruction from God to rest a new instruction. God commanded His people: “Remember the sabbath day, and keep it holy. Six days you shall labor and do all your work. But the seventh day is a sabbath to the Lord your God; you shall not do any work” (Exodus 20:9-10). Hmmm. A commandment to rest. Throughout most of human history, men and women have been aided in their need for rest by the fact that there was light by which to work only for a portion of each day. As civilization progressed, humans found ways of producing light to see in the darkness, but those sources of light were usually expensive and often scarce. Faced with the reality of no light by which to work, humans slept during the darkness. That scenario has changed. As humans have developed more reliable ways to generate light, they have simultaneously warded off the darkness for longer and longer hours. What was once a reliable source of rhythm for the cycle of work and rest is now gone. We can now have light available 24 hours a day, seven days a week. Darkness is now hard to come by in some parts of the world. Yet the way the human body functions has not changed much in the years since God commanded his people to observe a day of rest. The amount of time generally set aside for sleep has shrunk, but the need for it has not. In these days filled with artificial light and late-night opportunities for work and play, we must now be very purposeful in the pursuit of physical rest. I think we often fail to consider that we must choose to rest or else we're likely to have rest forced upon us when we are exhausted to the point of physical, mental, or emotional distress. A false gospel, indeed, and the antidote to it is to choose to stop. To rest. When you stop to think about it, you realize that resting is an act of trust. Trust that the world will keep on spinning, the sun will keep on shining. Trust that God is good and loving and will provide for us. Will our work pile up while we rest? Perhaps. But our ability to do our work will also accumulate. Rest is not in vain. I love these words! This subject is one of my soapbox issues. The chronic busyness of our society is killing us. And Christians are no different than the world when it comes to busyness. We have made it our God. Wonderful post, Richella. My time alone with the Lord is precious to me. Have a wonderful time of rest, reflection and rejuvenation. Wishing you a week full of rest and rejuvenation Richella. So happy for you that you were able to attend and leave the "stuff" behind. God bless. oh yes...I've been longing for a 'retreat' of sorts for months... waiting for it to happen, but reading your post makes it clear that it's a choice... What wise words you have shared here-- I certainly have a new perspective on rest and never considered the implications of how historically we rested when it was dark, but now we have created (in our own human wisdom! ha!) endless day and therefore burdened ourselves with the accompanying busy-ness. Your post was a God send ♥ Have a lovely weekend!